Can you believe it’s already April? I certainly can’t. I wonder what it is that makes it seem as if time is flying by. Is it busyness? Is it because we’re on auto-pilot? Is it because we’re so busy trying to live life that we are forgetting to enjoy life? I remember summers that seemed to last forever. I remember sleepovers that seemed to last as long as fun and friendship was needed. I remember … well, now I’m not sure if I’m even making a point. While I do remember those things, I also remember times when I was having so much I can’t believe it was coming to an end, like a summer camp program or a night out with friends. I wonder what it is that slows time and speed it up even though there are only and always 24 hours in the day. Perhaps I should start gauging the times I feel like time is moving slowly, like the last few minutes of your work day, and when time moves quickly, like how it’s already April when it feels like we just celebrated New Years. Anyhow, I can’t believe it’s already April. 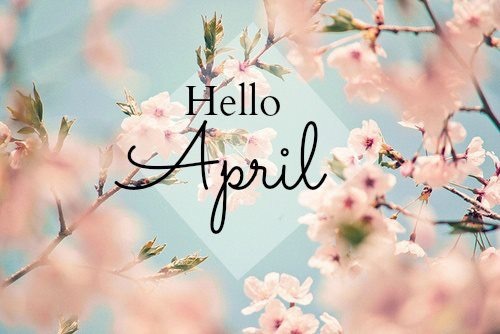 A new month. A new slate. A new 30-days to make every minute count.